There are some things at CHOM that will always be constant: The name, the format, the listeners complaining that the same songs get played over and over, and every decade or so the program director deciding to shake things up by putting Terry DiMonte back on mornings. DiMonte began his first shift back at Montreal’s Spirit of Rock on Monday, and I managed to score an invitation to see it from the studio (even if it meant pulling an all-nighter after a late shift at work). This is the story of that day. Five months after the announcement that Terry DiMonte will be returning to CHOM-FM, not much has happened publicly. DiMonte is still in Calgary, co-hosting the morning show at Corus-owned Q107. Corus is making DiMonte work all of the six-month obligation he triggered when he gave his notice in June. DiMonte has no trouble fulfilling his obligation as his contract stipulates, but it’s clear from his comments on social media that he’s eager to return to Montreal. While those comments are pleasing his Montreal-based fans, they’re also disappointing his Calgary-based ones, some Montreal expats who share with him a connection to this city they once lived in before economic factors brought them out west, but many just classic rock fans who have been loyal to the station and woken up with him every weekday morning since 2007. DiMonte tells me his last day at Q107 will be Dec. 9. After that he returns to Montreal and prepares to go back on the air at CHOM. His first day back in his old chair is almost certainly going to be Jan. 9. Astral VP Martin Spalding, who courted DiMonte back to CHOM, says this was considered a better date than a week earlier, when many people are still on holiday. Spalding’s hands are tied in terms of marketing DiMonte. Not only is DiMonte still physically in Calgary, except for occasional trips here during his time off, but because DiMonte is still under contract with Corus, his brand still belongs to them. Astral can’t market DiMonte until his contract expires, which will happen on Dec. 22, six months after DiMonte gave his notice. The biggest question for the past five months remains: Who will be DiMonte’s partner on the CHOM morning show? Spalding and DiMonte said they’ve met a lot of potential candidates – some in person, some by phone, with more still to talk to – but no decision has been made yet. (The decision will be a joint one between DiMonte and the station.) They don’t even know if it’s going to be one or two people. But they will have to make a call within the next few weeks. Spalding also said that there have been a lot of candidates, some they sought out, and some who offered to come on board. “It’s amazing how many people have come out of the woodwork and want to work with Terry,” Spalding said. For those wondering, Ted Bird said he’s not one of them. There have been no discussions between him and CHOM about a possible return, and he remains the big name at the K103 morning show in Kahnawake. Two obvious candidates for the job are the ones currently holding it now: Rob Kemp and Chantal Desjardins. Kemp might be headed back to an early afternoon shift if he’s not on the morning show (currently Tootall does 10am to 3pm), though any reshuffling of shifts won’t be decided until after the morning team is in place, Spalding said. The outlook for Desjardins is less certain. Spalding said she’s a “clear candidate” for the morning show co-host, but there’s no lock on it. She might end up somewhere else at the station, perhaps at another Astral station in Montreal, either CJAD or CJFM. Desjardins clearly wants to get the job with DiMonte, though. “I really enjoy working for Astral and I hope to continue in the morning show co-host position when Terry arrives,” she told me. “Seriously…who wouldn’t want to wake up at 4am every morning? ;)” (her emoticon, not mine). She said she’s “thoroughly enjoying the experience” and likes the work environment at CTV. Desjardins would make a welcome addition to the CTV sports team. That department is tiny (though still bigger than its competitors combined), and right now it’s 100% male. And she seems very comfortable in front of the camera. But radio is what she wants to do, and it’s where people know her from. And Desjardins’s ability to match (or even surpass) wits with the boys is probably more valuable at the classic rock station than the TV station. Aside from Desjardins, Sharon Hyland is the only woman with a shift at 97.7FM, and she’s on weekends now. It’s possible DiMonte and Spalding will come up with a name so fantastic it will have fans going “Chantal who?”, but it would have to be pretty fantastic to make me forget that these kinds of decisions have effects on the lives of real people. Less than two years after he moved to Calgary in the midst of a nasty contract dispute and took up a job that pays him more money than God, and less than a year after competitor Q92 decided to have him do a noon-hour show from Calgary, Terry DiMonte has once again been booted off Montreal radio. DiMonte announced on Thursday that his show on CFQR would come to an end, by “mutual agreement.” His final show is Tuesday, June 23, from noon to 1pm, just before the Fête nationale holiday. Even though his ratings were up in the last quarter, the price was still far too high. There are plenty of younger, cheaper, more local DJs that can be brought in to introduce Madonna and Marvin Gaye. According to someone intimately involved with a source with inside knowledge of a phone call between a highly-placed insider and the astrologer for a janitor with access to secret documents, DiMonte was told (graciously) on Thursday that budget cuts meant he had to be dumped. It was a day after he was congratulated for his ratings bump. My time at Q was really nice. They were welcoming and supportive and Mario Cecchini and Mark Dickie are class acts. And it was an interesting and different challenge, talking to Montrealers from a studio in Calgary. That was fun. And it helped ease the pain of the bums rush I got from CHOM. I asked him what he’ll be doing with all the extra time he has. He says he has lots of work to do as “a morning man trying to make a mark in a city of 1.2 million people and 18!! radio stations” and he doesn’t expect to be taking extra-long lunches. It was a cute little experiment, but in the end DiMonte was overpriced and underworked, doing a job more suited to someone with less than half his experience. It was like hiring a race car driver in a limousine to deliver pizzas. It just didn’t make sense. So DiMonte is once again off Montreal radio, at least until someone can match what he’s getting in Calgary and offer him serious money to come back. Considering the state of the media economy here, and the rather charred bridge between him and Astral Media (which owns CHOM, CJFM Mix 96 and CJAD), I wouldn’t hold my breath. I’ve asked for comment from Brian DePoe, program director at CFQR, but he’s on vacation until after June 24. I’ll update this post if he has anything to add. UPDATE: The last two minutes from his final show, in (slightly imperfect) Mp3. It’s really a story only The Gazette can do. And therefore it’s a story The Gazette must do: The exodus of anglophones from Quebec. So in a five-part feature series that ends today, the paper went all out, sending reporter David Johnston and photographer/videographer Phil Carpenter out to Calgary and Vancouver to interview ex-Montrealers. DiMonte’s more recent departure can be seen as an example of the “normalization” of anglo migration from Quebec. As political and linguistic uncertainty has subsided in Quebec, anglos now leaving Quebec are tending to leave for the same ordinary dull reason that people everywhere move – opportunity. In DiMonte’s case, there was also the added complication of a troubled relationship with a new boss; but there again, as he says himself, there’s nothing so unusual about that. Here he was, a big fish in a small English market in a large French city, breezing along in midlife at the top of his profession, when suddenly he was presented with a new contract that called for him to sign in and out of work every day. Of course, some might call this whining. Aside from the big features are two video series from Carpenter (all compiled on this page): a documentary of interviews from those same ex-Montrealers (including DiMonte), and some interviews with young students here about their future. Carpenter goes into some behind-the-scenes detail on his blog, saying it took him four months (on and off) to put the three-piece, half-hour documentary together. There are also two Flash animations with graphical data (one points out that unlike most regional newspapers, The Gazette’s online traffic comes primarily from outside the province), and a blog from Johnston, in which he explains the story idea came from a conference he went to combined with a report from Statistics Canada showing anglos growing again for the first time in decades. Does no one mourn for David Tyler? As Terry DiMonte begins his new noon-hour show on Q92 direct from Calgary today, the man he replaced, still-in-Montreal David Tyler, is philosophical on his blog about his departure from the station and what he plans to do next. 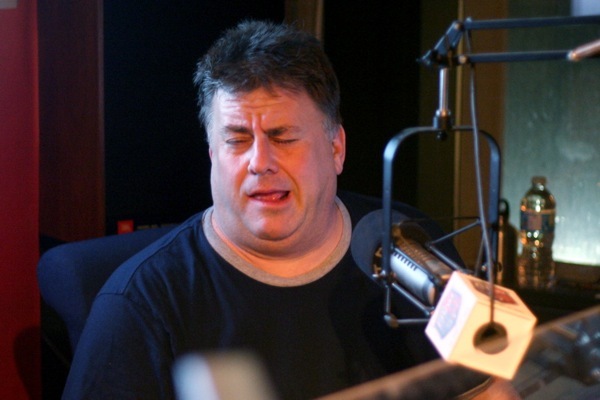 Corus announced today that Terry DiMonte, the former CHOM morning man who left for Q107 in Calgary because CHOM wasn’t prepared to offer him a long-term contract, will return to Montreal’s airwaves starting Sept. 8 with a noon-hour talk/music show on Q92. What’s missing from Corus’s press release, and the Presse Canadienne rewriting of it, is that DiMonte isn’t physically returning to Montreal. He’s still hosting his morning show in Calgary. Only now, after his morning shift, he’ll stay in studio and do the Montreal show remotely. This isn’t the first time that a broadcaster has done “local” programming remotely and tried to fool people (Joe Cannon was famous for it and Global Quebec is introducing it), but the fact that Corus left it out of its press release suggests that their goal is to deliberately mislead Montreal listeners. Fortunately, I’m relatively confident DiMonte has the moral fortitude not to outright lie to his listeners (saying “here in Montreal” or pretending his weather is the same as ours). The Gazette’s Bill Brownstein has more.